Good-looks, good-looks and good-looks! True that, nawaabi and ‘oh-so-dreamy’ looks run in the veins of the Kapoors and Pataudis. A recent addition to the Pataudis created some extra space in the headlines of major newspapers. The very sight of that little munchkin makes anybody’s day. You must have guessed already as to whom we are talking about. Yes, the super-adorable, Taimur Ali Khan! When Taimur goes, limelight follows. Every move he makes, makes the media go crazy for him. And why wouldn’t they? Have you seen the chhote nawab’s swag as he has already started posing for shutterbugs? Most of the times, Taimur would either be found with his nanny outside his playschool, playing outside Amrita Arora’s house or chilling with cousin, Inaaya Naumi Kemmu. 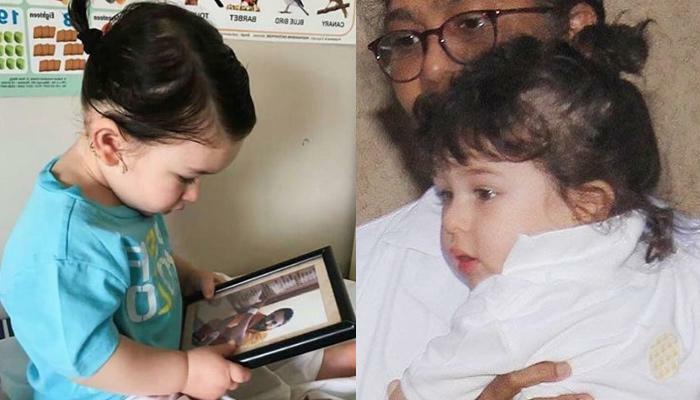 Needless to say, Taimur is the ‘apple of the eye’ of both mommy Kareena and Saif. Inspite of their hectic schedule, the stylish couple makes sure that they have enough time to spend with their little bunny. Why don’t you hear it from Kareena herself? This is what the doting mother said, “Taimur loves his time with his mother. I spoil him with the warmth and the cuddles. His father is trying to teach him cricket”. Recently, Kareena made headlines all over again when she thanked Saif Ali Khan because of which she is being able to be a part of great projects. This is what the Veere Di Wedding star says, “I’ve been lucky [and] give utmost credit to Saif. The first thing after childbirth that you want to do is put the child on the mother’s breast. After childbirth I was tired, but that was on my mind. With my eyes half shut, I asked Saif to give Taimur that kangaroo love. When the mother is recuperating from childbirth, the father must step in. 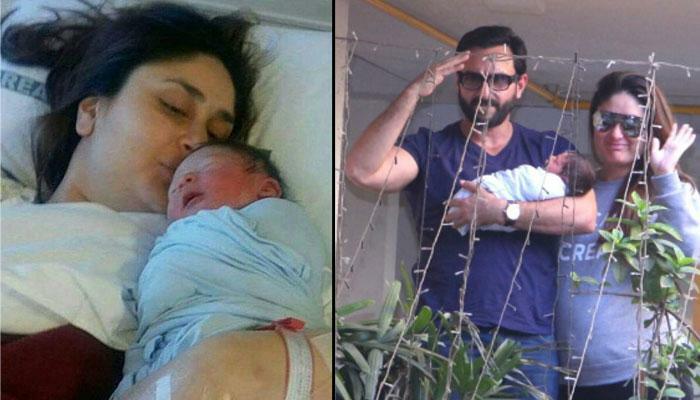 A shout out to those fathers whose support is important for a newborn’s health.” Well said, Kareena! (Taimur, read this when you grow up!) You make one of the most cutest kids ever! 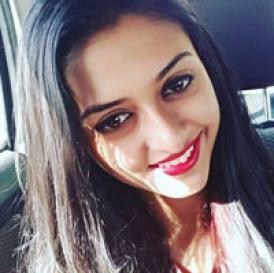 Keep swaying us with your super-cute looks so that we have a good day by just looking at you!